Visual impressions derived from my photographs. 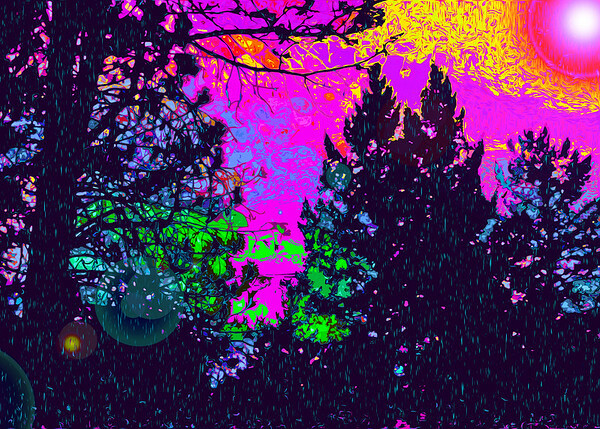 Originally a dreary rain shot of the trees, clouds, and fog, I reimagined the scene as a 1960's black light poster. Sorry, not currently available as a black light poster, but it is something I'm considering. Pretty colorful as is.